Our kids are inheriting the complex food, agricultural and land management systems in which we live, and with things changing faster than we can keep up, how do we best engage and equip the next generation to be ready for a complex future? The panel joining us this month have years of experience in homes, schools and extra curricula programs that guide kids through getting their hands dirty from seed to harvest, learning to boost soil health, skilling up in kitchens, and introducing kids to the broader food systems that they are a part of. Panelists in conversation with COSTA GEORGIADIS will discuss varied approaches to food literacy, barriers and successes in their experience, as well as the programs, schools and families that are seeing wins in this area, and how we can approach not just healthy eating but a whole of system approach to the way the next generation eats, grows and views food. 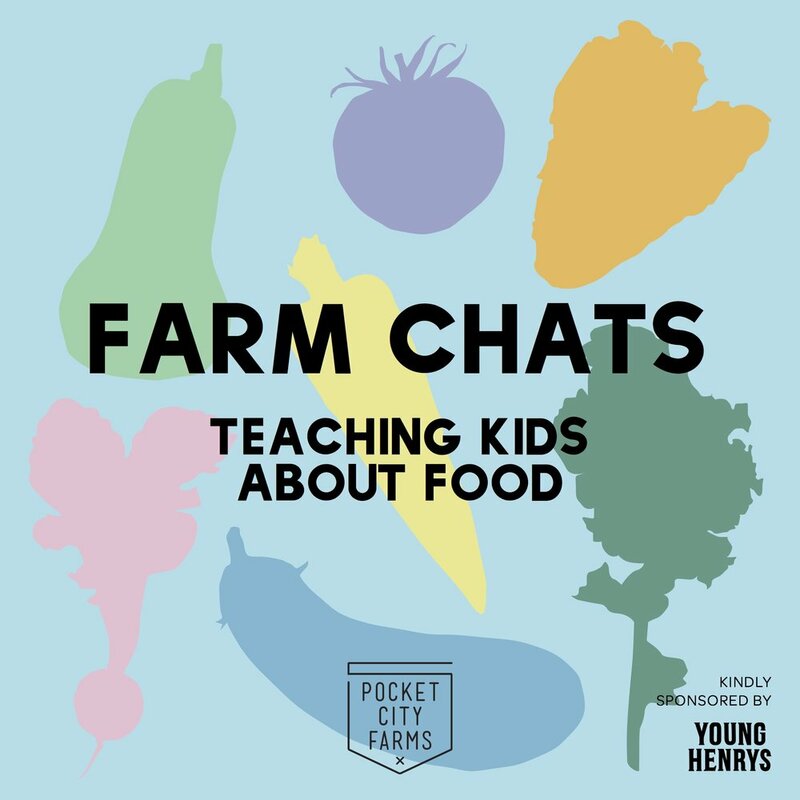 This conversation is for those involved with young people and kids in any way, come along and be a part of the movement for our kids to be carving the way towards more connection with our food and fairer food systems. MAREE LOWES (a.k.a. Dirt Girl) is an actress, host, Environmental Educator and business owner, passionate about inspiring kids to don their eco-warrior personas and 'Get Grubby!' through TV series Get Grubby TV and dirtgirlworld. Both shows invite children to go outside and connect with the world around them by having FUN. She’s also been an ambassador and co-host of wider community education programs such as Compost Rocks, Rubbish Handle with Care and the upcoming documentary series Country Handle with Care. Her connection to community education and well being is strengthened by her BA in studies in Psychology and Indigenous Studies and overall, Maree’s diverse work is stitched together by her belief in storytelling as a vessel for fostering empathy and driving social & environmental change. AARON SORENSON is a Permaculture practitioner, teacher and designer who has been working with community gardens and school Permaculture gardens over the past 20 years, and was recently names the 2018 PIP Permie of the Year for his amazing contributions. He is passionate about inspiring transformative change in his local Illawarra community by connecting people with nature and creating resilient urban food systems. Aaron works with Dan Deighton as Elemental Permaculture, where their work synergizes the professions of Landscape Architecture, Education & Creative Learning, Environmental Restoration, Community Development & the Creative Arts with the guiding ethics, principles & practices of the Permaculture profession. AMELIA BERNER is OzHarvest’s Food Education and Sustainability Training (FEAST) Program Manager. Amelia’s passion for nutrition and environmental education stems from a decade of experience as a Food Technology teacher and working as a practicing nutritionist, which enabled her to develop the FEAST education program that ensures all children has the ability to learn how to cook in a classroom setting. Amelia believes education and access to healthy food choices bring a connection to our community, affects our short and long term physical health and has the potential to bring enjoyment to those around us through the sharing of a meal. MICHELLE CARRICK of Seed Harvest Spoon Education Foundation co-founded the not-for-profit with Bree Velluti. Over the last 6 years she has worked with a range of schools, teachers and community groups, facilitating garden education and cooking programs for Early Childhood and school age students . She is passionate about natural environments, permaculture, gardening and igniting the same passions in the next generation, with the ultimate aim of contributing in partnership with community groups towards a healthy world. FIONA DOHERTY is the Garden Specialist at Stanmore Public School as part of the Stephanie Alexander Kitchen Garden program. She has been in the role since 2015, and volunteered as a parent for two years before that. The garden is run on permaculture principals and she works closely with the kitchen specialist to plan planting and harvesting. As a new parent to the school in 2011 she was part of the P&C team who installed the kitchen and helped set up the garden space. She is a keen educator who believes children need to connect with where their food comes from, including taking on the sometimes less glamorous side of gardening work. IN CONVERSATION WITH COSTA GEORGIADIS. Costa is a force to be reckoned with. A landscape architect and permaculturalist, Gardening Australia presenter and kids television show host and above all, an educator with an amazing capacity for celebrating and advocating for change-making environmental and agricultural projects and communities. Costa is passionate about food underpinning all our other activities, creative ventures and community life. He’ll be guiding our panelists through a lively discussion about their work and how we can teach and connect kids back to our food and food systems.